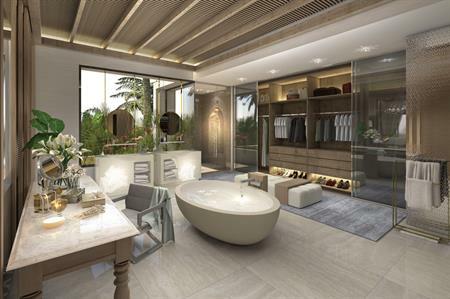 The new Jumeirah Al Naseem hotel will open in Dubai in December, as part of the Madinat Jumeirah Resort. Situated on the beachfront, the resort will collectively house 430 rooms with balconies and extended terraces offering views of the sea, the resort's landscaped gardens and swimming pools, and the Burj Al Arab Jumeirah. Additional facilities include a secluded adult only pool surrounded by rooms with direct pool access, seven restaurants and bars linked by the Arabian Explorer theme, and a rooftop bar serving contemporary Arabic mezze, and a large selection of cocktails. The Al Mandhar Lounge will serve local Emirati drinks including Chai and Karak teas with a fusion of French and Moroccan snacks including Bocadillos, Bisteeya and a selection of mint teas. Onsite seafood restaurant Rockfish will serve up oysters, grouper, octopus, turbot, mackerel, squid and prawns.